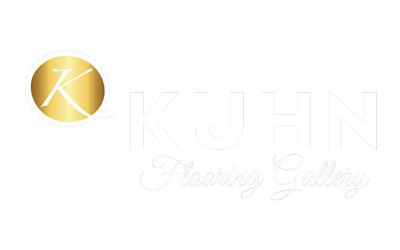 Happy New Year from all of us at Kuhn Flooring, your full-service flooring destination, with gallery flooring displays in Coral Springs and Lighthouse Point serving South Florida communities from Pompano Beach to Boca Raton and Palm Beach. We hope 2018 is off to a good start for you and your family. We’re excited about the year ahead – and about the flooring trends that design experts are predicting will lead the way in 2018. There are some interesting possibilities you may want to consider if you’re looking for residential or commercial flooring solutions this year. According to The Family Handyman, we’ll see a new generation of contemporary parquet hardwood floors in 2018. “Parquet hardwood floors are made of solid wood pieces arranged in geometric designs or unique patterns. And it’s seeing a revival floor trend as homeowners look for ways to draw attention to the rich, natural wood,” the website reports. While these particular design trends will certainly elevate the look of your Florida flooring, but they aren’t for the do-it-yourselfer. If you’re looking for a truly distinctive option for flooring in Boca Raton or Delray Beach, the pros at Kuhn Flooring will be happy to discuss the options with you. Gray wood floors are increasingly common and are a 2018 floor trend. They provide a unique, clean look that fits well in modern houses that need to brighten up. Distressed wood planks have many good qualities. They’re often eco-friendly, reclaimed wood materials. And they make an ideal floor trend fit for both modern and farm-style houses. The experts at HGTV note that, “Most flooring manufacturers are jumping on the green bandwagon, adding lines that boast high recycled content and raw materials obtained from sustainable sources.” Wood flooring certified by the Forest Stewardship Council (FSC), which comes from forests that are managed with strict standards of sustainability and environmental responsibility, and nontoxic cork are a couple of their favorite examples of this trend. At Kuhn Flooring, the premier flooring company for Palm Beach County homeowners, we offer an exciting selection of hardwood floors, including variable widths in both satin and hand-scraped fishes. We also offer a beautiful range of affordable laminate floors that can introduce a surprising array of textures and tones to flooring in Pompano Beach and other area communities.